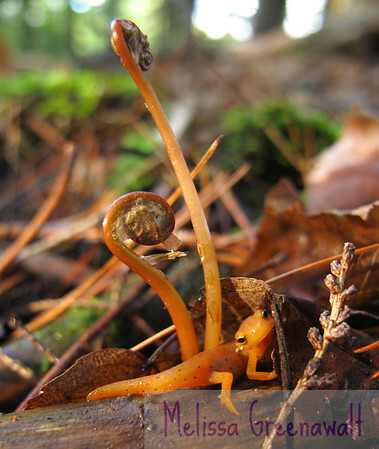 This wee newt was so young, it really didn't know what to make of this huge thing (me) bearing down upon it. I promise you: I did not pre-arrange the baby newt in front of the baby fern for maximum adorableness. Things simply happened that way. If I do say so myself, the "awwwww" factor here almost rivals the baby flying squirrel from last May.